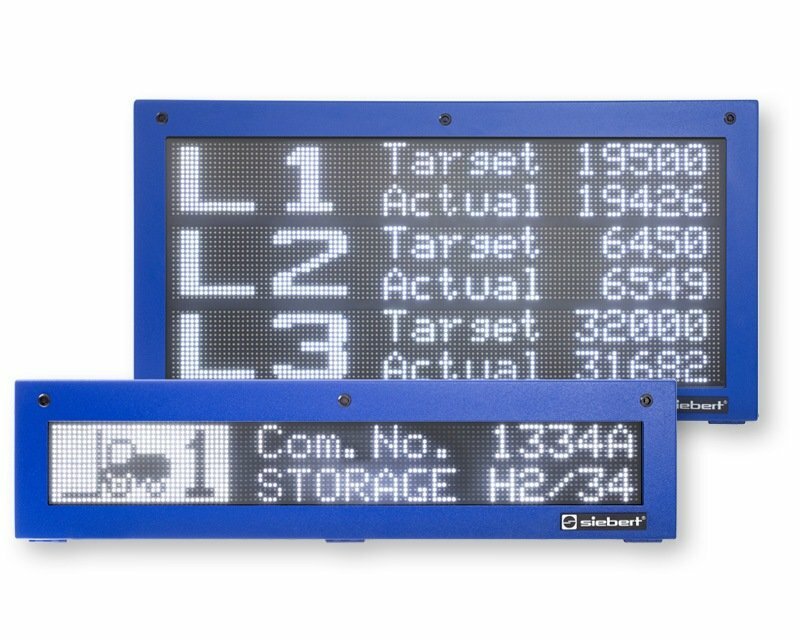 The SX602 series comprises single line alphanumeric large size displays. With character heights up to 250 mm they are suitable for long reading distances. The LED matrix is ready for marquee, so that longer texts can also be displayed by devices with a smaller number of characters. 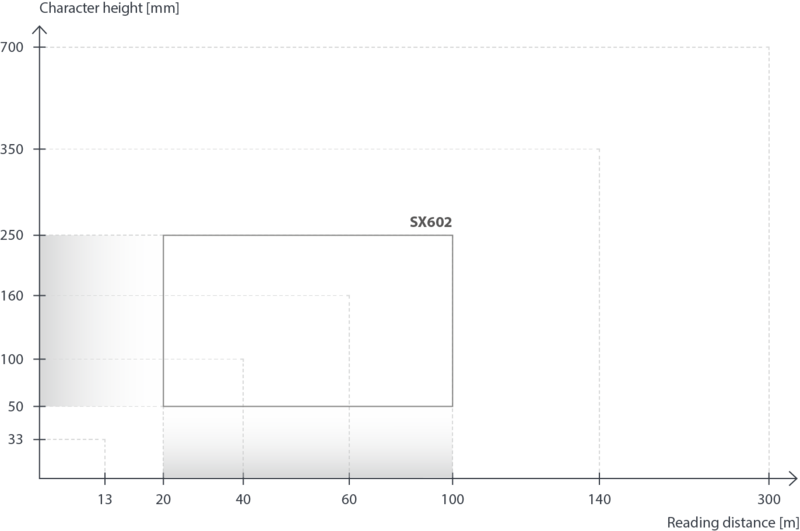 Character height [mm] x 0.4 = reading distance [m]. For example a character height of 100 mm results in a reading distance of up to 40 m. The character height should not be chosen too small, especially outdoors where the size is subjectively felt smaller. Detailed technical data see operating instructions.